From applying for a life-changing mortgage or business loan, to simply choosing that credit card that gives you bonus air miles, having a good credit rating is imperative. They can take a while to build up, but it’s important that you aim to develop a strong background for whenever you need to apply for any form of credit. Fortunately, there are some simple things that you can do today that can make improving your credit score easier, plus they’ll likely have the knock-on effect of improving your overall financial welfare in general. Showing that you are a responsible person to lend to will help lessen the financial load, and ultimately make it easier to pay back the loan. Adding yourself to the electoral roll is a simple and effective way of increasing your credit rating. Your credit rating is a metric that measures your financial stability and therefore your ability to pay back any debts that you might incur and is very important if you want to secure a mortgage or any other large type of loan; practically any bank or lender will want to do a credit rating check on you to make sure that you are a safe person to lend to. While getting on the electoral roll will not have a dramatic effect on your credit score, it does show that you are relatively stable in your life and committed to living in the same place for a while. Furthermore, it also allows credit rating agencies to build up a profile of you, which is vital if you want to increase your rating. Finally (and most importantly) being on the electoral roll also means that you can vote, which is valuable in itself. Whether you are self-employed or salaried, freelance or paid hourly, having a clear understanding of the state of your personal finances is the most important thing you can do in order to build a strong credit rating. Knowing how much you take home and being aware of your outgoings means that you’ll know which spending habits you need to cut out of your life, giving you a much more appealing spending profile when it comes to applying for a large loan. Organising your finances might not be the most thrilling way to spend an afternoon, but once you have done it you can rest easy knowing that you won’t be caught out by any unexpected surprises. Mortgages almost always require a deposit, and getting a good deal might require you to save anywhere from 5-40% of the cost of the house. If you are able to save more then you will be able to borrow less, get a more favourable interest rate, and ultimately save yourself money in the long term. It will also give you the financial stability to get a better credit rating. Of course, if you have significant debts already (excluding outstanding student debts) these should be paid off as soon as possible, or it will be your credit rating will suffer. Unfortunately, if you do have big debts, unless you have paid off a large amount on a regular basis it can be very difficult to get a loan. If this is the case you should make these payments your priority before you consider taking on any more large commitments. As the world gets ever more interconnected credit rating agencies draw information from a wider pool of resources. This includes things like phone and utility bills. Paying these bills in full and on time for a number of months before thinking about applying for a mortgage, or indeed any loan shows that you are fiscally prudent, meaning that a lender will be more likely to trust you for a bigger debt. Getting a credit card is a great way of growing your credit rating – as long as you show that you are responsible. If you have never borrowed before it can be difficult for a credit rating agency to know about your ability to pay back debts. This is known as a ‘thin’ credit rating. Naturally, this comes with a glaring warning that you should never get into a large debt on a credit card, and you should only ever spend what you can afford. A simple tacit with a number of benefits is to pay for things on credit and pay them back before the end of the month using your debit account. In doing this, you will never fall into the trap of thinking of credit as ‘free money’ and will ensure you keep a really close eye on your finances. Credit card bills can quickly mount up if you fail to make regular payments, but by paying back anything you have borrowed before the end of the month you can avoid any eye-watering interest payments. 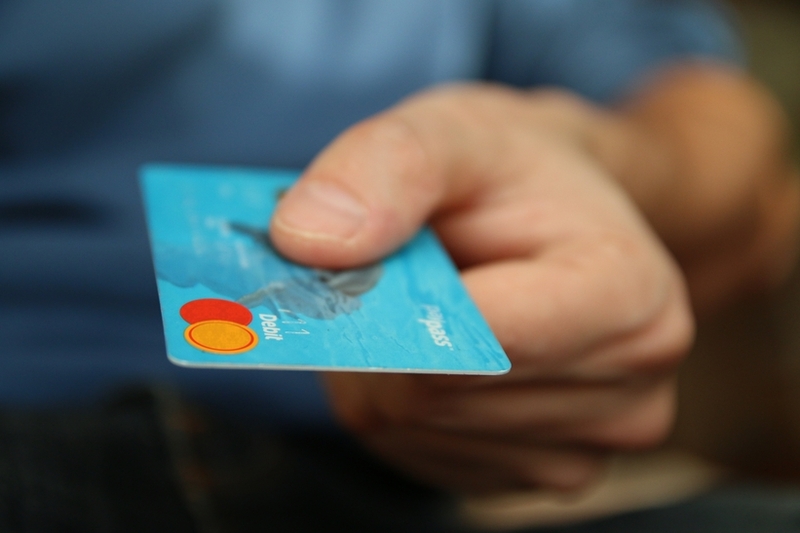 Credit cards will often have great extras such as air miles or supermarket loyalty card points that you can. This can be a nice way to treat yourself in a way with limited financial implications for your careful saving! Although the idea of a credit rating might seem a little scary at first, not least because they rely on so much hidden data, having a good rating is incredibly important. Get a credit card, pay it off monthly and start cutting out those negative spending habits, your credit score will start to rise in no time.